Originally released for PC last year before making its way onto consoles this November, The Long Journey Home is a different title from what many have come to expect from Daedalic Entertainment, a developer and publisher more renowned for its various adventure titles. 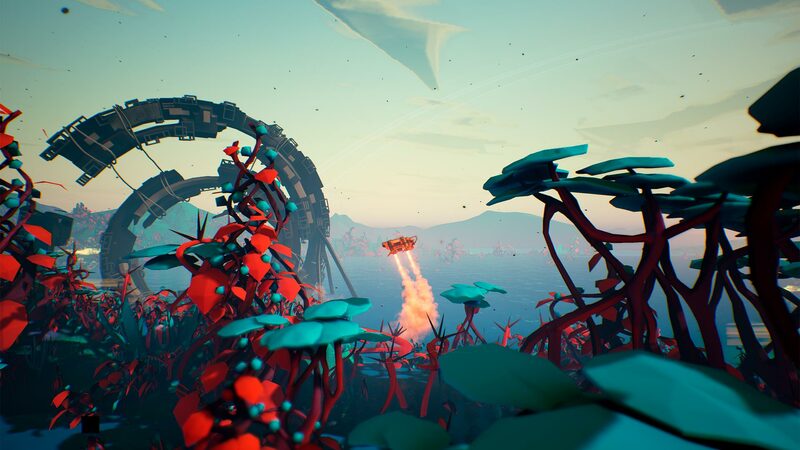 Tasking players with guiding a ship across the far reaches of space, The Long Journey Home never attempts to make its journey particularly thrilling, but the deliberate pacing combines well with its risk-versus-reward elements and the simple enjoyment of travelling the stars. The Long Journey Home begins with players selecting the crew, spaceship, and universe seed for a mission to test a new faster-than-light drive. There are ten potential members to fill out the four available crew slots, each with their own item and skill set, as well as three spaceship and lander options providing different attributes in terms of speed, cargo space, and so forth. As the title alludes to, the test does not go quite as planned, and the crew find themselves and the ship far, far away from home. Left to their own devices, the crew must try and find the way home while dealing with dangerous locations, limited resources, and aliens of the friendly and not-so-friendly varieties. 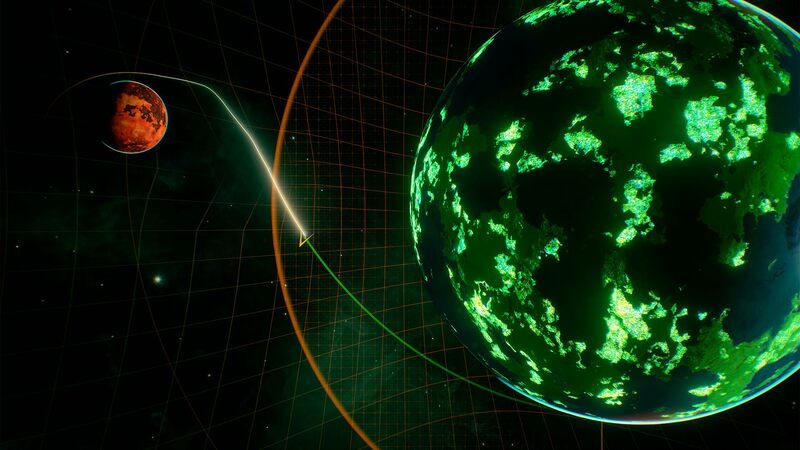 The universe seed is the primary factor that will affect a playthrough of The Long Journey Home. It determines what players will be able to encounter, from the alien species present to the general makeup of the stars and galaxies they will be roaming in. This leads to a wide variety in difficulty between playthroughs, with certain seeds being far more welcoming to new players than others. However, there is always an element of luck to things, and even on an easier seed and with the game’s story difficulty setting, there will be many opportunities for the journey to end prematurely. Successfully slinging the ship between planets is highly satisfactory. The structure of the game has players jumping from star system to star system, stopping off at planets, space stations, and asteroid fields to find resources, investigate points of interest, or take on small jobs. Gravity plays a big part in travelling between locations in the star system, and players are heavily encouraged to make use of gravitational slingshots wherever they can to ensure they don’t needlessly waste fuel. Once players have successfully gone into orbit around a planet or moon, they can send the lander down to the surface, where it will have resource points that can be gathered and maybe other points of interest such as an alien settlement or set of ruins to explore. The structure is decently paced, with planetary stopovers always being a quick in-and-out, and it makes for an engaging journey where it can be easy and enjoyable to get sucked into a mindset of “just one more system…”. The game’s controls are nice and straightforward, but one of the few annoyances comes with controlling the lander. Some planets are more hostile and difficult to land on than others, some having high gravity or winds, others prone to earthquakes or lightning storms, with players able buy and attach modules to the lander to help against these. However, the game always seems to enjoy throwing the lander down at high speed, so that even a lander that has in theory been modified to cope with the conditions will still be flung onto the surface despite the player’s best attempts. In these cases all players can do is hope the damage isn’t too severe and just carry on. It’s understandable that the game is promoting a sense of risk-versus-reward on using the lander, but it’s nevertheless frustrating, particularly given how much more enjoyable and comparatively friendly interplanetary travel is. Combat encounters are not worth actively seeking out. Though there are some interesting quests and pieces of lore to discover, there isn’t much of a narrative to The Long Journey Home. Part of this is because quests and jobs often require that players go out of their way to complete them, which is generally a high risk to take considering the limited resources available and the propensity of the ship to be damaged through wear and tear when it jumps. Even on the friendly seeds, money needed for repairs can be hard to come by and so time spent going back and forth in one sector can be very costly in the long run. There are very few named characters in the game, and those that are named generally appear for a single quest before they disappear and are never heard from again. The Long Journey Home is undeniably more about trying to survive the journey above anything else, but there’s some interesting variety to the alien species that can appear, with some enjoyable writing and inconsequential banter between the crew that appears from time to time. Crew members don’t gain any new skills on top of those they come with; anything they can do to help depends on items picked up throughout the voyage. The main concern is keeping them alive, as various things such as radiation from stars and heavy lander impacts can cause injuries, five of which will cause that crew member’s death. Instead, any progress comes from what helpful items players are able to attain, and crew members can be help get these. For example, Ash is able to turn alien flora into medical items, used to heal aforementioned injuries. Meanwhile, players can also buy new modules for the ship or lander that will provide bonuses such as improved radiation shielding. It all follows the theme of survival above anything else. Combat is not very interesting and more often than not best avoided. Combat will see the ship come up against another ship, usually bigger, which may itself spawn additional smaller ships. 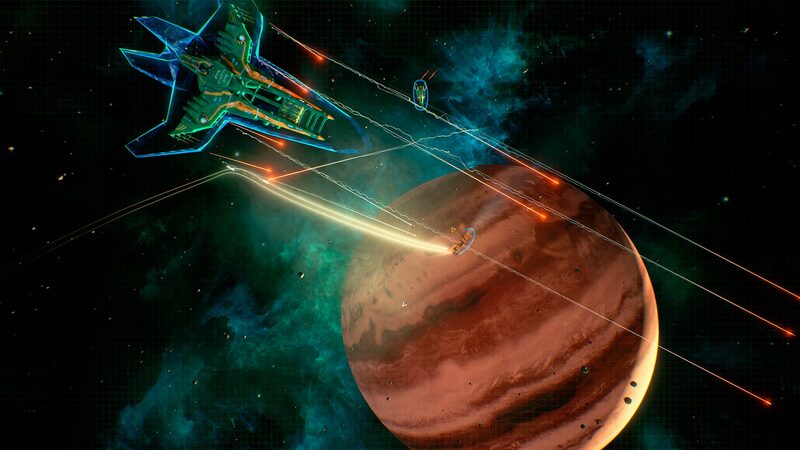 The ships then fly around each other, shooting in pre-defined directions — the default weapon has the player ship fire up to four projectiles directly port and starboard, with players able to buy upgrades from a very limited selection of weapons and shields — then recharging before firing again. If players win, they may be lucky enough to receive a paltry set of credits or resources that may just about cover any repairs. If players lose, then it’s time to rewind back to the start of the star system or start the entire journey anew. The combat itself is straightforward, but is rarely worth the time and effort. Some planets have very pretty backdrops, but be prepared to see similar ones elsewhere in the galaxy. There’s not too much to say about the audio in The Long Journey Home. The best thing to say is that the atmospheric music tracks do a nice job combined with the gravitational simulation to make the journeys between planets nice and chilled out. Sound effects are fine, but there’s no voice acting, though given the general lack of narrative in the game, there isn’t much to be gained even if it was present. Visuals also do the job well, with a nice and clear UI, but the positives reduce out over time. Some planets are pleasing to look at, but by the time players are through they will have seen all the templates multiple times. The same goes for the alien species, there is good variation between them, but just one design for each species and nothing to distinguish individual encounters. The Long Journey Home doesn’t outstay its welcome. A successful journey should take most players around ten hours, which is a good length for those who just want to get home and enjoy the accomplishment while the gameplay cycle remains enjoyable. Meanwhile, the way the universe is generated with seeds means that those who are interested in seeing everything the game has to offer as well as find new challenges have many reasons to keep coming back. It never offers the most in-depth or exciting gameplay moments, but the overall experience of The Long Journey Home is an enjoyable one.